SUPPORT.EDUCATION.TOGO. (SET) IMPROVES THE AVAILABILITY AND QUALITY OF EDUCATION IN THE WEST AFRICAN COUNTRY OF TOGO. SCHOOL BUILDS, SUPPLIES, AND TEACHER SUPPORT. FIND OUT MORE ABOUT SET’S PROJECTS, THE PARTNERS WHO HELP US MAKE IT HAPPEN, AND HOW YOU CAN HELP TRANSFORM THE LIVES OF CHILDREN IN TOGO. 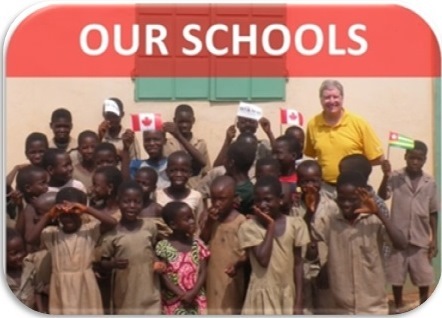 SET builds schools in Togo as well as providing these schools with supplies. SET gives financial assistance to intern teachers as well as teacher training and support for all teachers in SET schools. In this way SET helps the children of Togo receive education that is vital to their development and, in turn, enhances the Togolese communities. Because of the access to education provided by SET, these children have better opportunities for a more sustainable future. By ensuring that children of Togo receive quality primary education, they are “set to go” forward with confidence and knowledge. Such a background has been shown to help in disease prevention, violence reduction, and literacy improvement. Find out more about SET’s projects, the partners who make it all happen, and how you can help transform the lives of children in Togo. © 2019 SUPPORT.EDUCATION.TOGO. All Rights Reserved.